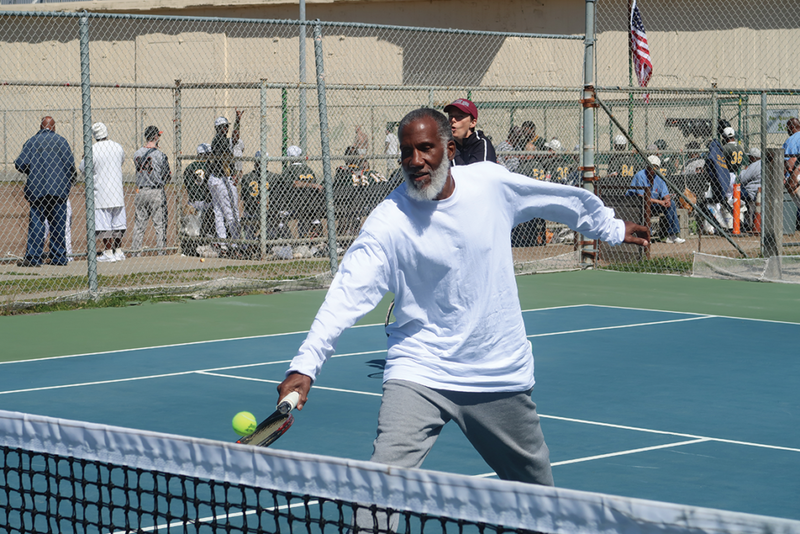 Some of the top San Quentin athletes showed their talents for the annual tryouts for the prison’s age 40 and older basketball team. The Kings coaching staff picked a mix of returning veteran players with several new faces, putting the scrimmage teams in scenarios that tested each player’s ability to gel in adverse situations. Another key strategy in the tryouts was to see how players responded to perceived bad calls by referees. 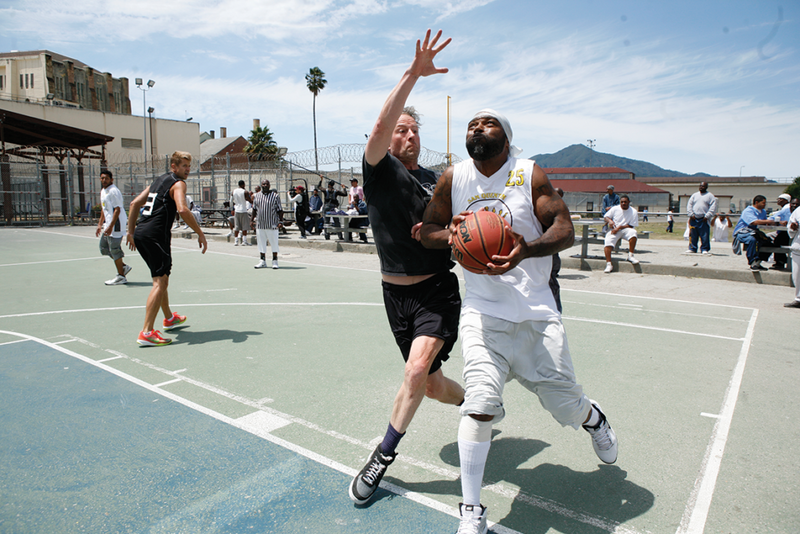 “This is really organized, definitely the most organized I’ve ever seen at any prison,” said 39-year-old Derrick Gray, who was looking for a position as a point guard on the team. Veteran player Jamal “Do It All” Harrison made some big plays in the set scrimmages. Patrick “Nick Nasty” Shields, a 5-foot-10, 220-pound, undersized power forward, made some excellent moves around the rim, making himself a key prospect to make the team. The tryouts were held on Jan. 26-27, 2019.